Better than a big hotel, the Résidence Paris offers you the comfort of a luxurious mansion in the most exclusive district of the capital. Just a few minutes from the Champs Elysées, the department stores, the great restaurants and the business center of Paris La Défense, or even the street Faubourg Saint Honoré, the Résidence Paris has a beautiful private landscaped garden which isolates the villa of all overlooking buildings. It allows our clients to be outside, to host guests on the terrace or even allow children and pets to run around. The Résidence can welcome 8 guests with a surface of 800m2. It is made of two large suites with a tremendous dressing room to accommodate big wardrobe, two deluxe rooms and an independent studio. The mansion provides absolute comfort on 4 floors accessible by elevator, all for the price of a suite in a 5 star Parisian palace. 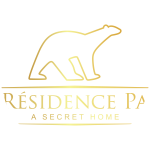 Family holidays to discover Paris or business trips with collaborators, the Résidence Paris will be your haven of tranquility, a quiet and secret place where you feel "a home" with the luxury of a five star service. "Like me, you certainly like 5 star hotels. Like me, you probably have already rented a property in superb places such as Saint-Tropez, Courchevel or Cape Code. If so, then you will understand why I created La Résidence Paris: a unique place for a unique stay in Paris, for guests like you. Here, you will be at home with the freedom to come and go, without the feel of a hotel, but the opportunity to receive with pomp, thanks to this exceptional place and the services put at your disposal. The services are "on-demand": you can choose to use them or not. I imagined the layout of the place thinking about my own business and family travels. The Résidence Paris will be a great fit for one as well for the other. It can also be a mix of the two as I like to do. There is space for everyone to have independence. The living room is fully equipped to meet and work, or share moments of conviviality outside as well as inside. I even tought of cigar smokers on the terrace! Because today, even in large hotels, it has become more and more difficult to enjoy such a pleasure. Finally, one thing that some will appreciate like I do; you will have the possibility of shopping around a farmers markets just by crossing the street, enjoy a nice barbecue, or even go swimming in the pool at midnight, while remaining anonymous. True luxury is often created with many little things like that with make you feel free in a privileged environment."